Memory 3D is an HTML5 puzzle-matching game. The game board is a 3D box with 24 different panels. 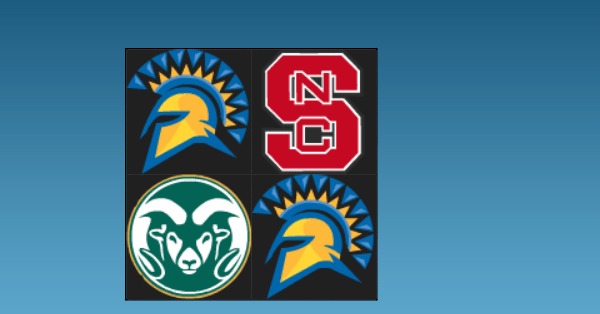 Clicking a panel reveals a college sports logo, which will remain visible until you select another panel. Your goal is to find and match each pair of logos- unless you have a good memory, it’s not easy! You can rotate the box using your finger.